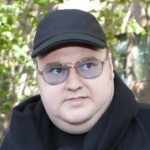 A New Zealand court has ruled that the search warrant used in the arrest of Megaupload founder Kim Dotcom on US online piracy charges was legal, creating a setback for Dotcom, who is fighting extradition to the United States. 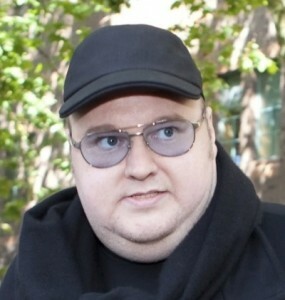 The New Zealand government – encouraged by US agencies – successfully appealed a 2012 ruling that police used illegal warrants when they arrested Dotcom at his Auckland mansion in January 2012 and seized laptops and hard drives. US prosecutors suggest that the Megaupload website cost film studios and record companies more than $500 million and generated more than $175 million in criminal proceeds by letting users store and share copyrighted material, such as movies and TV shows. The ruling overturned an earlier High Court decision that the search warrants were vague and enabled police to seize materials irrelevant to the charges against Dotcom. Instead, the appeals court said the warrants were adequately worded and should not have caused misunderstanding. “A reasonable reader in the position of the recipients of the search warrants would have understood what they related to,” commented the appeal court judges, ruling that there was no disconnect between what there were reasonable grounds to believe might be at the properties and what the warrant authorised the police to take. The court nevertheless upheld an earlier ruling that prosecutors had not been authorised to send clones of seized electronic evidence to the United States. Dotcom’s lawyers are likely to appeal against the ruling to the Supreme Court. “Our legal team is reviewing the rulings made by the Court of Appeal and will likely seek leave to appeal to the Supreme Court,” tweeted US attorney Ira Rothken.